September | 2013 | Quo Vadis? Before you spend money buying software for your work or personal computer, check to see if Rutgers University owns a license to that software. If so, you may be able to save yourself some money (and who doesn’t love that prospect)! As members of the Rutgers community, current students, faculty, and staff have access to a number of software programs that you can use for work and even for fun! You can find available-to-download software from the Office of Information Technology’s Rutgers University Software Portal (http://software.rutgers.edu/). 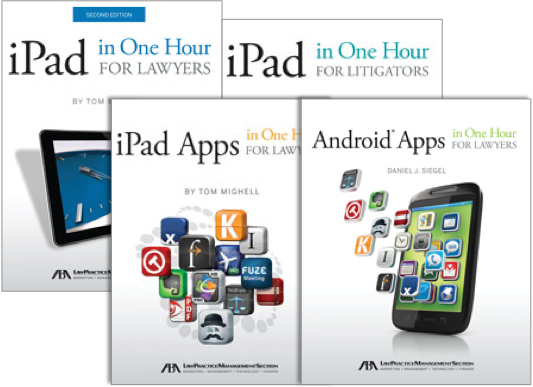 Browse the available software by category, operating system, publisher, and more. Select multiple categories to find multi-purpose software. All of the available products provide links back to the publisher’s website for more information. Some available software product categories include video and image editing, graphic design, web design, and more! Note to Law Students: you can download Refworks, a citation management tool from the parent company of Westlaw, which supports Bluebook citations! Don’t forget to check out our Discounts on Hardware and Software Purchases blog post for more information. If your professor put books on reserve for your class, you can find them in the Law Library catalog. You can access the online catalog from the Law Library homepage. Just below the search box, select “Course Reserves.” You can search by Course name or number, or by the name of your professor. You can ask for the book at either the Reference or Circulation desks. You will be asked to leave a photo ID if you wish to check the book out. You no longer have to worry if your device battery is running low and you forgot your charger at home! 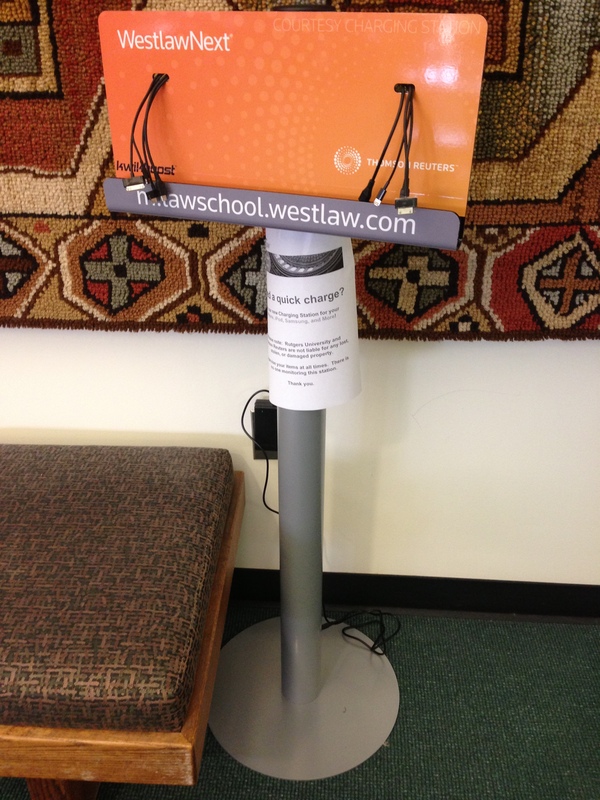 Westlaw has placed a Charging Station in the Law Library Reading Room (against the wall on the right as you walk in)! UPDATE: The charging station is now located against the far wall of the reading room from where you enter. The charging station has 8 available ports to charge your iPhone, iPad, Samsung, HTC, Sony or other device!